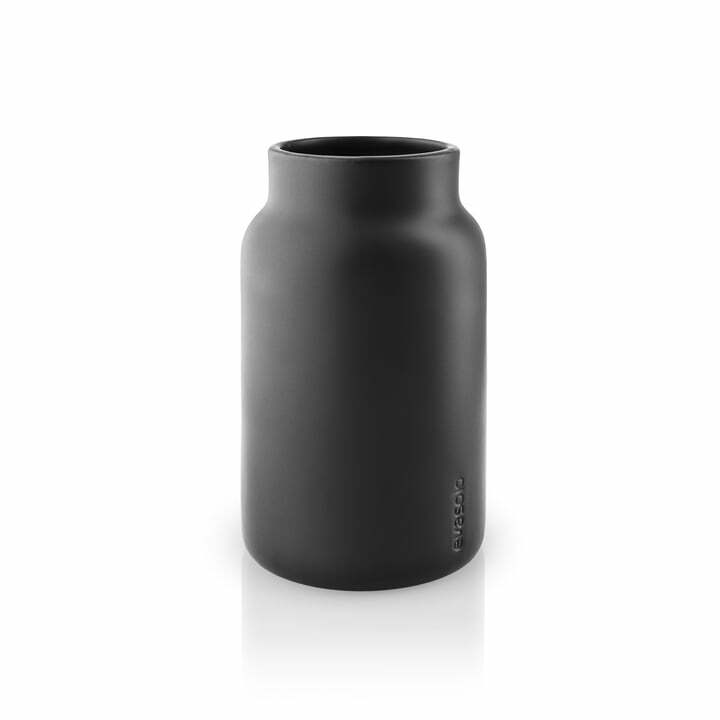 The toothbrush cup by Eva Solo fits wonderfully into the bathroom collection of the Danish manufacturer, which consists of elegant accessories. 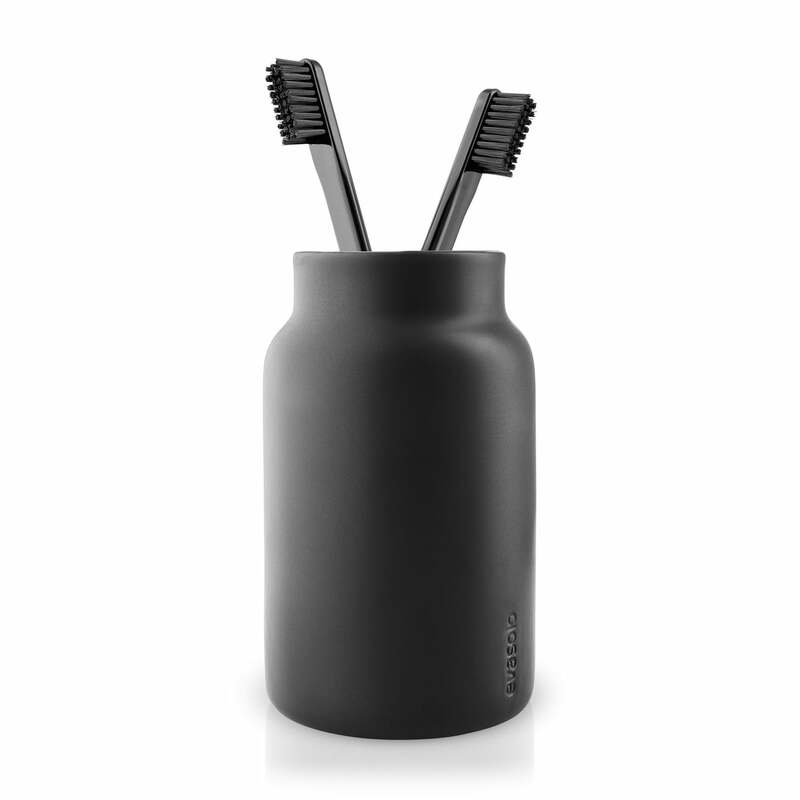 The toothbrush mug is made of ceramic, which is then finished with a black, matt finish. Its upward tapering shape also differs from conventional toothbrush cups, making it a great eye-catcher on the shelf in the bathroom. Classically used to store toothbrushes and toothpaste, this mug can also be used for make-up brushes and other cosmetic articles, and is both aesthetically pleasing and functional. 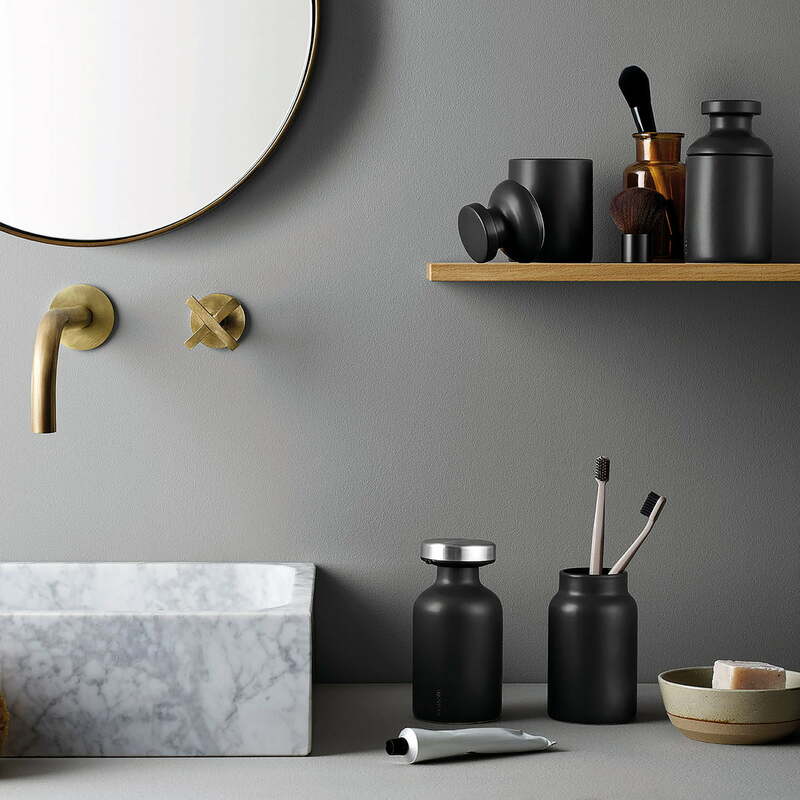 The soap dispenser, the container with lid and the toilet brush are also available in the same style to match the toothbrush cup in matt black, which together ensure a uniform look in the bathroom. The Soap Dispenser by Eva Solo Together with the matching toothbrush mug, even the dullest of bathrooms can be stylishly upgraded and transformed into a modern oasis of well-being.